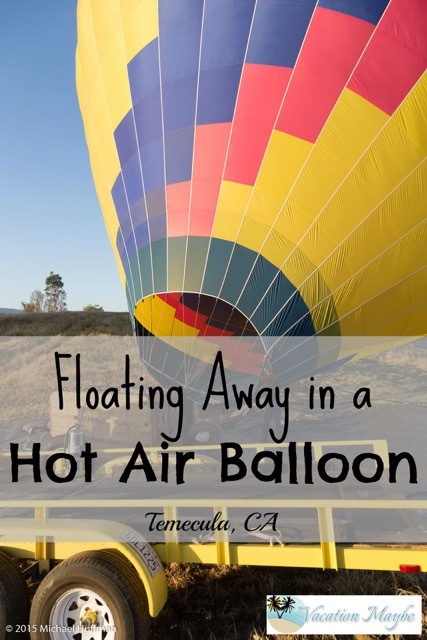 My husband and I were trying to thing of something special to do for our anniversary this year and a friend suggested going to Temecula for one of their hot air balloon rides. We looked into it and thought it was worth trying out. So we made our reservations and set our plans into action to go. Early in the morning we arrived at the vineyard, which would host our champagne breakfast after our morning ride. After we checked in they began to load us into different cars, based by which balloon we would be riding in. A quick stop to let a helium balloon up to show which ways the wind was moving helped our tour guides decide which location would be our launching point. When we arrived at the desired spot the crew from California Dreamin began to unfold the tarps and balloon and basket. We would soon be in our basket and headed airborne. It was a little chilly on the ground, but it was recommended to remove jackets for our ride. A little uncertain we handed them over and enjoyed the warmth we felt from the hot air being forced into our balloon. Slowly we lifted up off the ground. Higher and higher we went. With only the wind to move us there was a quiet peace being high in the sky. 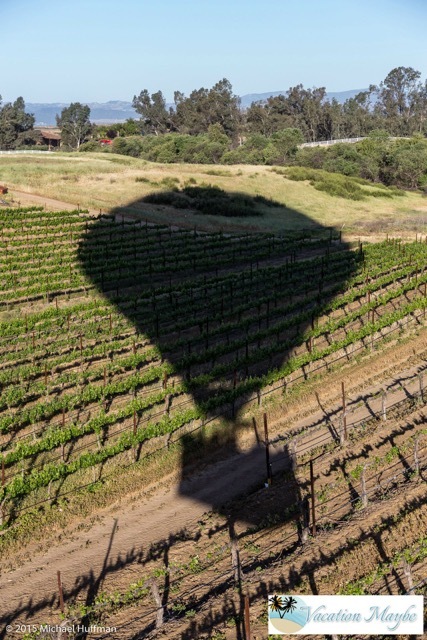 We floated over vineyards, toward the lake and could even see the ocean off in the distance. We would rise up high and then swoop back down toward the ground. There was never any fear (well except maybe heights) our pilot was well in control of the hot air balloon and gave us interesting tips about the area below us and explained the different levels of elevation each had their own direction. When our tour was over a good landing spot was picked and down we went ever so slowly. We got a few more pictures and a glass or two of champagne while the crew loaded up the hot air balloon. Then we headed back to our original meet up point for a breakfast of pastries, cheese and more champagne. 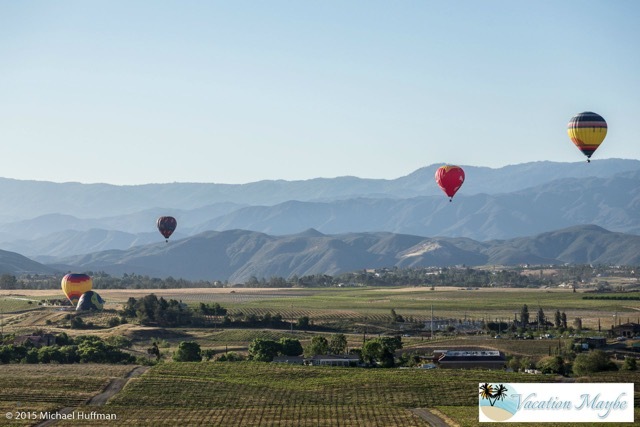 I can honestly say that hot air balloon rides are a great way to celebrate an anniversary or any special occasion with the love of your life. It was a great adventure. I have always wanted to take a balloon ride. I think this would be fun. I would love to go on one. Hubby was a pilot, and he loves to fly, but he has no desire to go on one. Maybe some day with my daughter. Looks fun! Can’t wait to try this! I so want to do this. Can you tell me how much this was? Also, do you know if they have these in Indiana?